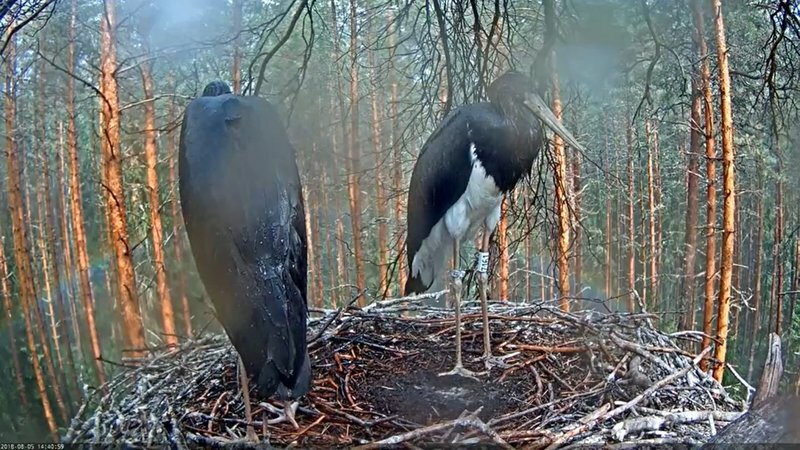 10:44 Päike und Karula are in the nest. 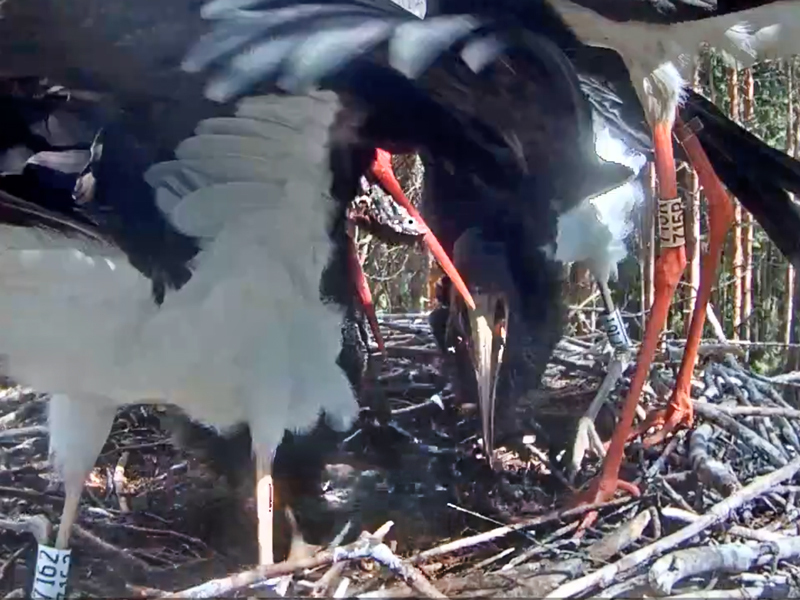 Actually I was looking(asking Mister Google )for when and how do first year´s juveniles know that it´s time to migrate. I know it must be in their genes and inside clock but if weather and food conditions is so different some years? I also think it is too dry in Europe this year and fresh food is not enough. 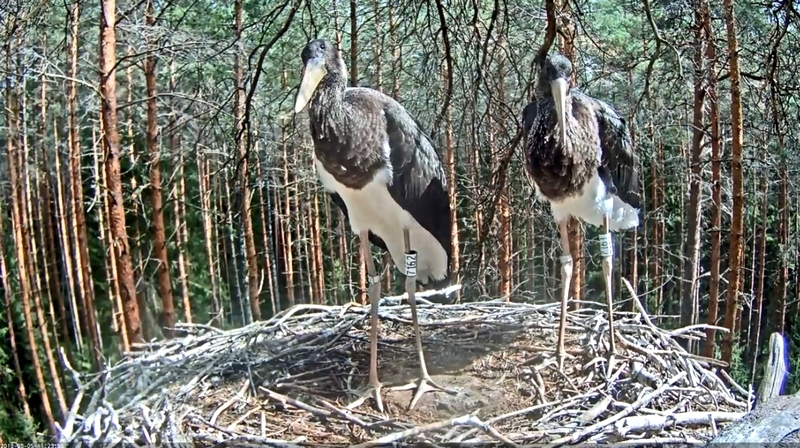 If in the next few days the mighty high pressure zone of Europe gives way, many storks will set off. It's interesting when Karl feeds. In the last two days. The first time around 12:40 and the second time around 15:55. Does Karl have a clock? 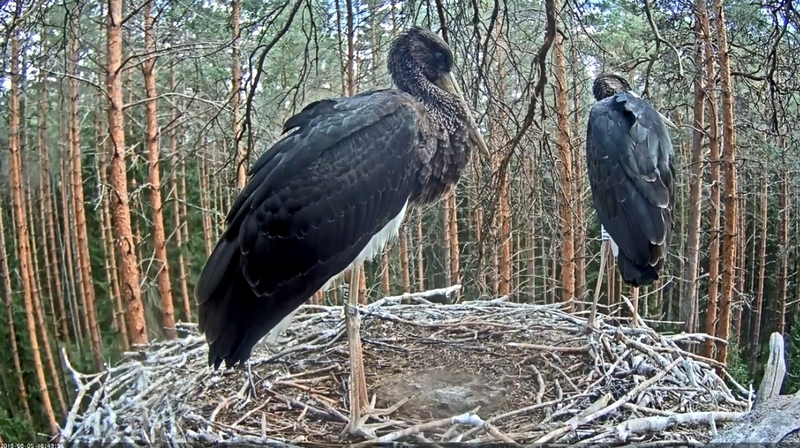 11:24 Päike and Karula are standing in the nest. Maru flew 131 km on the first day of his migration to the south! I wish you good luck on your first journey, little Maru. May you always find plenty of food and a good place to spend the night. Wow, Maru has already flown far! 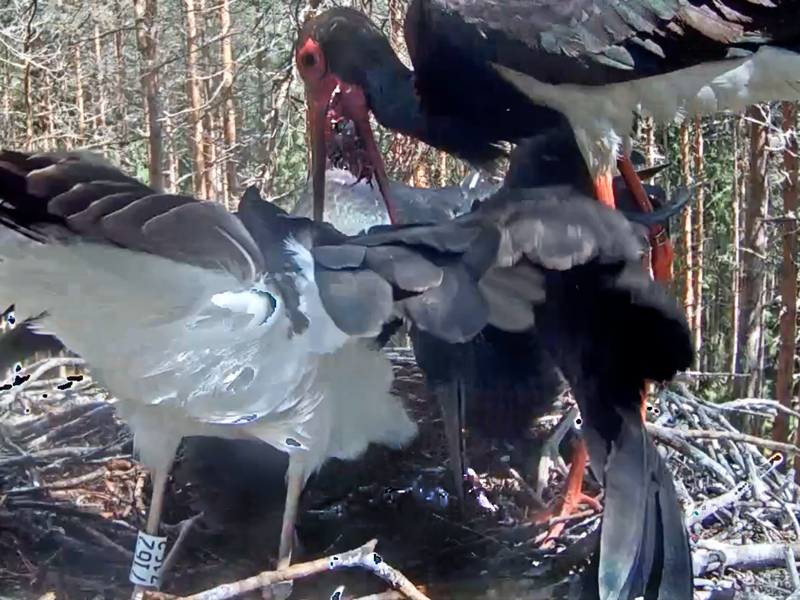 Päike after feeding. Was it really that much? Yes, I believe it was a good feeding. 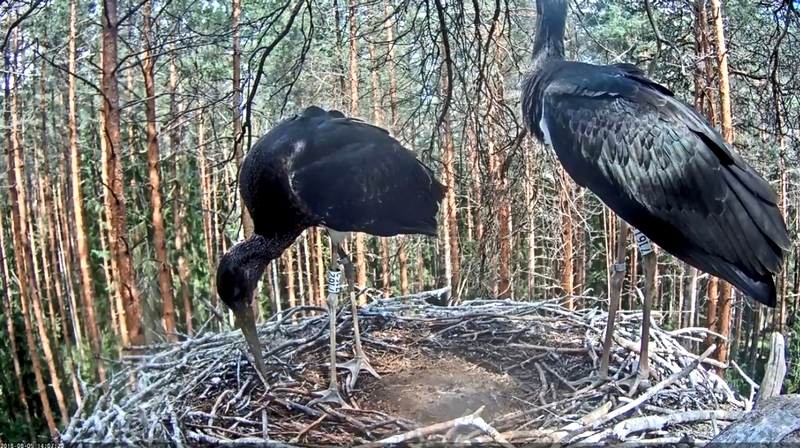 14:07 First Karula and then Päike are back. The two remain so ... and two feeds already? 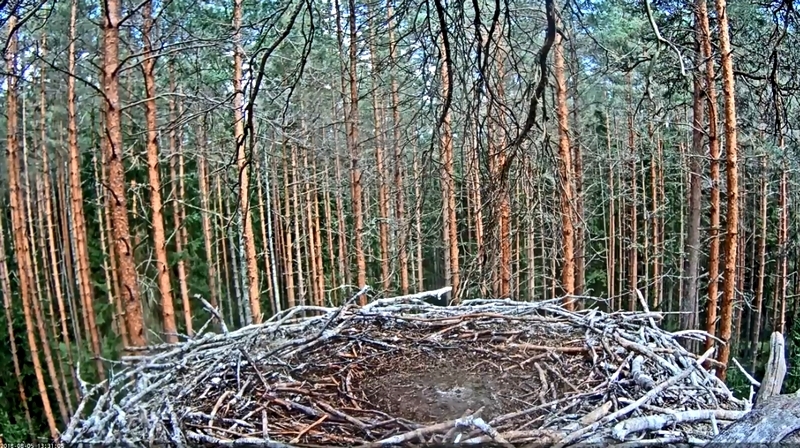 And Maru already in Latvia. So many news, thanks for all the info! Many thanks for the immediate info Urmas! The two remain so ... and two feeds already? No, only one feeding today. Oh, I read too fast ..., Swenja!